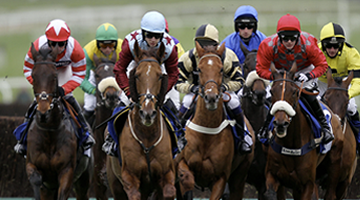 Racing hits another high note this weekend as we hurtle towards the first Saturday in May, and BSW private purchases figure to play a large part yet again. RYMSKA (FR), a private purchase for Madaket, Tom Coleman, Team Hanley, Elayne Stable and Long Lake, out of France in 2016, goes for G1 glory in the Jenny Wiley at Keeneland on Saturday. The black mare turned in an outstanding performance when powering away from the field last time out in the G2 Hillsborough at Tampa. 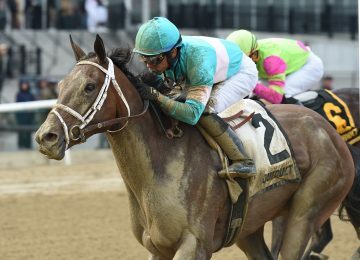 At Aqueduct, ANOTHER BROAD, who was acquired privately at the end of 2018 on behalf of Madaket Stables, Elayne Stable and Brian Martin, will try to pick up her first stakes victory while stretching out to 1 1/8 miles in the Top Flight Invitational. Down at Oaklawn on Saturday, WHITMORE is going for a hat trick in the G3 Count Fleet Handicap. 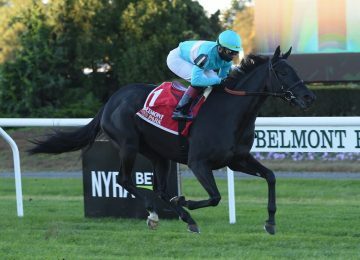 The 2017 private purchase on behalf of Head of Plains Partners, joining majority owners Bob LaPenta and Southern Spring Stables has taken this race in both 2017 and 2018. 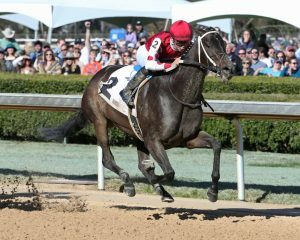 Sunday at Oaklawn, MIDNIGHT BISOU, a BSW private purchase for Madaket Stables, joining original owners Bloom Racing Stable and Allen Racing, will try to go 3 for 3 in 2019 when competing in the G1 Apple Blossom. 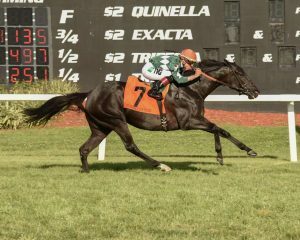 She took down the local prep for the race, the G2 Azeri, over a field of 4 other G1 winners.